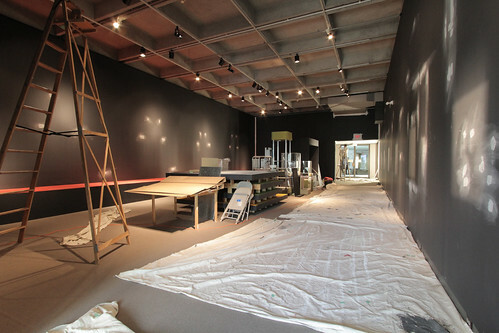 The Museum of Vancouver‘s Art of Craft exhibit opens January 14th (opening night January 13th). We intended to blog the design process as we went along, but we’ve been so consumed with the design that we haven’t had any time to distill things down into posts. But I’d like to get a few work-in-progress photos up before opening night. 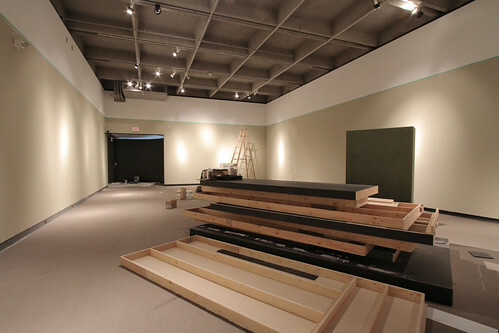 This is what the galleries looked like on November 12th. The previous exhibit, Velo-city, had dark walls (the remains of that are seen in the first photo). 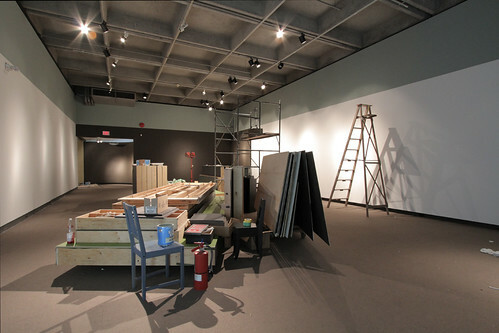 The BC and Canada gallery spaces show the new, light wall colours.